You know that feeling when your football team is actually playing well and might even make it into the playoffs? That’s what is happening for our team this year and it’s got us in the mood for food! 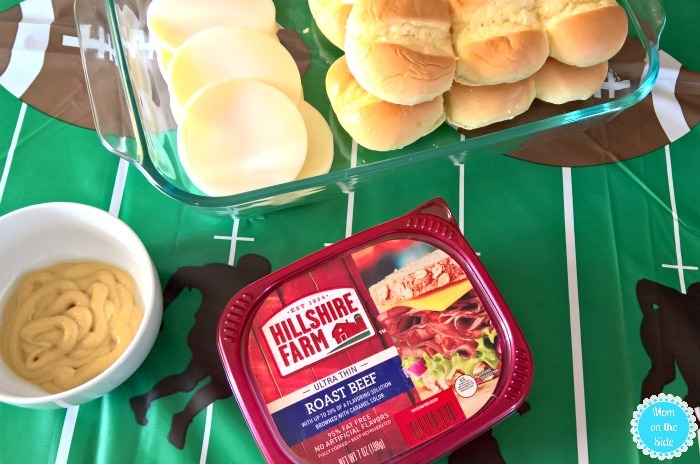 Even though we’re still weeks away from the big game, that hasn’t stopped us from eating all the football finger foods and preparing with my deliciously easy sideline spread for game day! 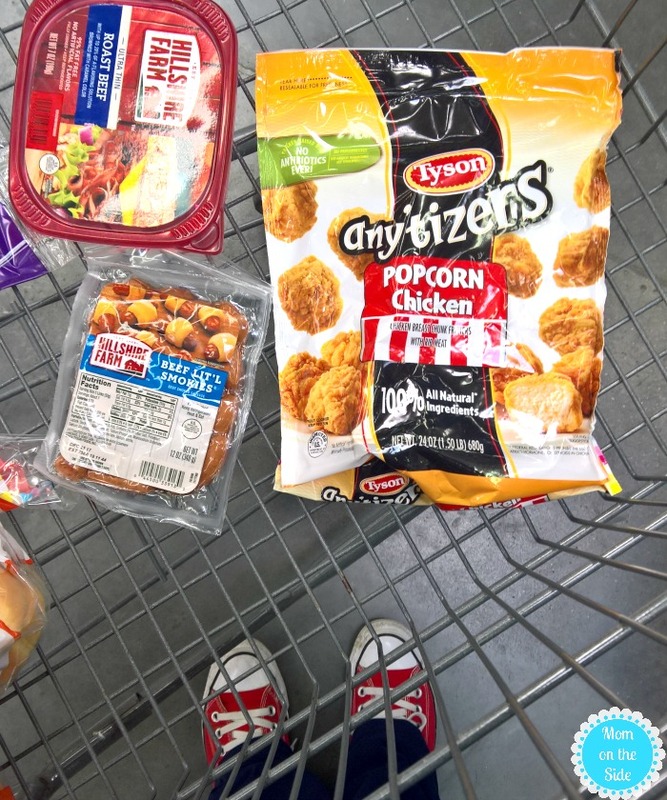 Whether you’re watching the game from home, hosting a few friends, or hosting a large party this easy sideline spread for game day will have everyone coming back for more delicious Tyson® products. 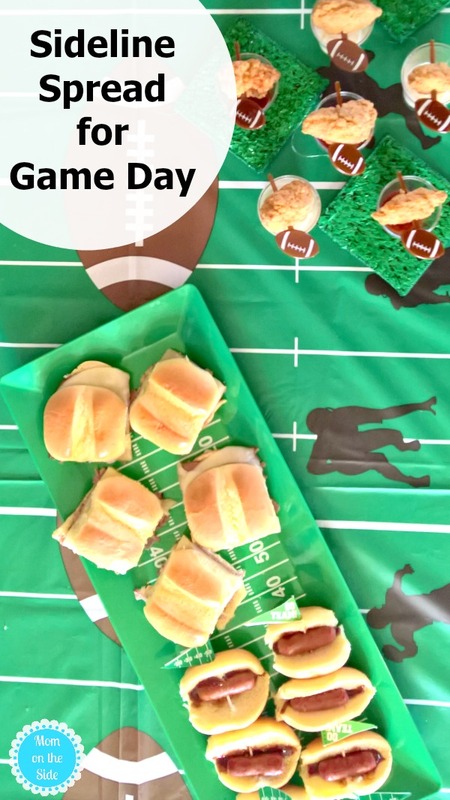 If you’d rather be cheering on your team instead of standing in the kitchen, these game day recipes are for you and you can find everything you need at Walmart to get ready for game time quicker! Everyone likes popcorn chicken but not everyone likes the same dips. 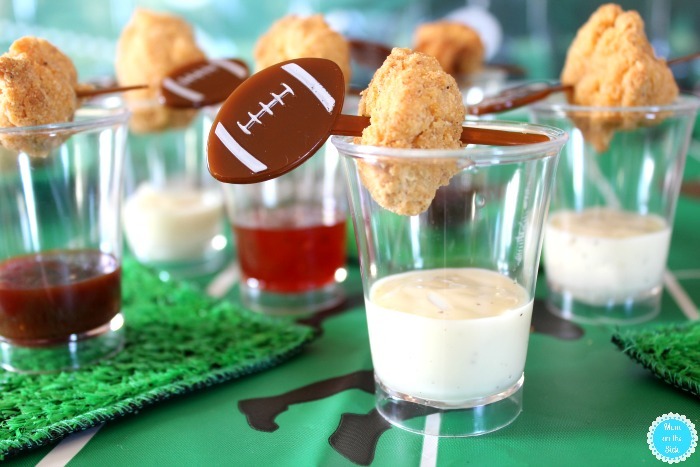 These Popcorn Chicken Shooters give a variety of portable options. 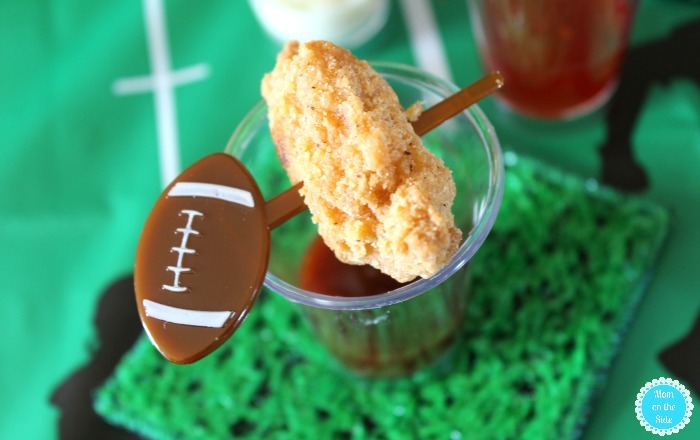 Guests can grab a shooter of their favorite dip and continue grabbing Tyson® Any’tizers® Popcorn Chicken during the game. Barbecue sauce, ranch, and sweet and sour sauce are great dip options, as well as honey and ketchup. 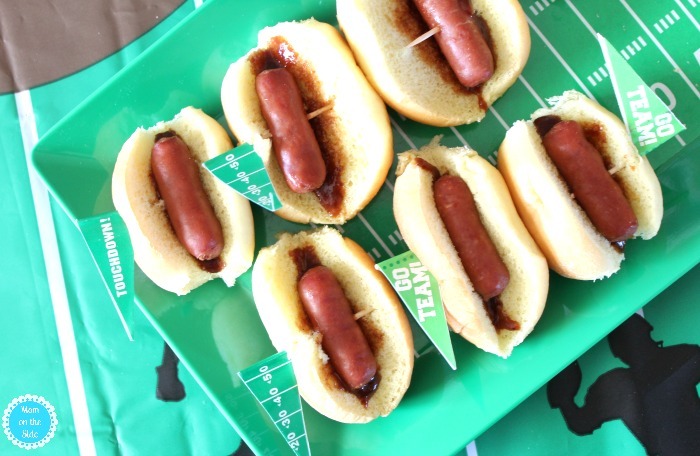 Hillshire Farm® Lit’l Smokies ® Smoked Sausages are a must-have for any party in our house. This time I did something different instead of just tossing them in the Crock-Pot with barbecue sauce like I usually do. I baked the smokies in the oven and placed them on dinner rolls with a little barbecue for Lit’l Smokies® Dogs! I used the tops of sweet rolls but you can also use dinner rolls cut almost in half so they split it like a bun. 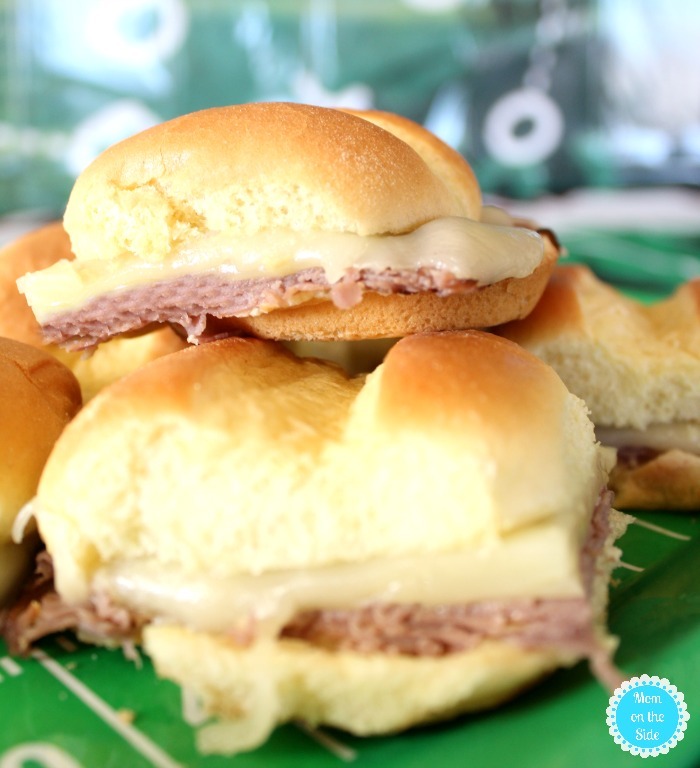 Sliders are a game day favorite for my family. So easy to make and so many different options. This time I went with Hillshire Farm® Roast Beef and provolone cheese. A touch of spicy mustard spread on the top bun and you’ve got a deliciously easy slider. Sweet rolls work perfectly for sliders because you can lay the bottom half in the pan, layer your toppings, and place the tops right back on top. Cover with foil and toss them in the oven at 350 for about 20 minutes. Easy, peasy, and cheesy! 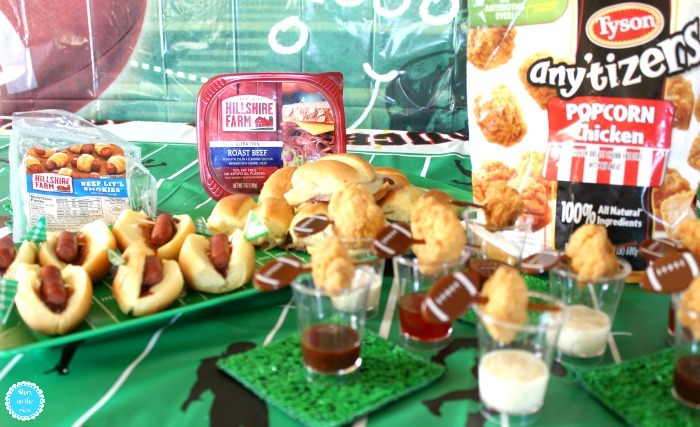 Score a touchdown at your local Walmart where you’ll find Tyson products to prepare your sideline spread for game day! Save some time with the ease of Walmart grocery pick-up and enjoy more time watching your team win! 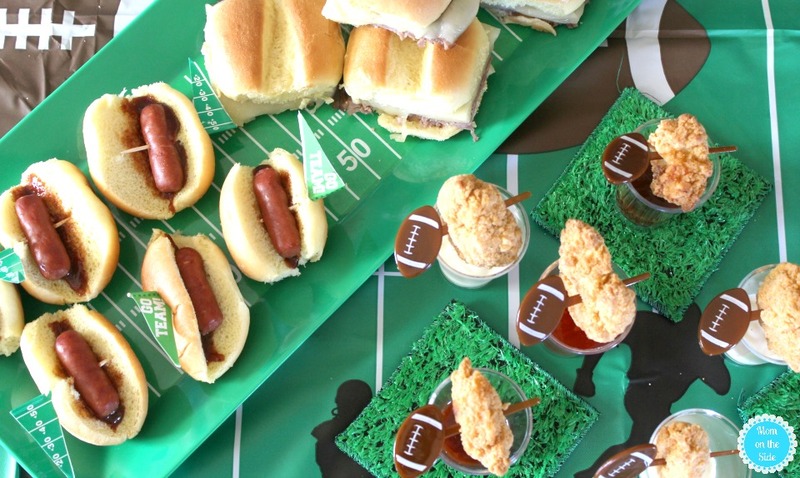 PIN THESE IDEAS FOR YOUR NEXT GAME DAY!